With congested cities trying to promote metro rail, bike share and other forms of mass transit over driving and parking downtown, this photo of an old-school parking meter in Palo Alto, Pennsylvania hearkens back to a different time. 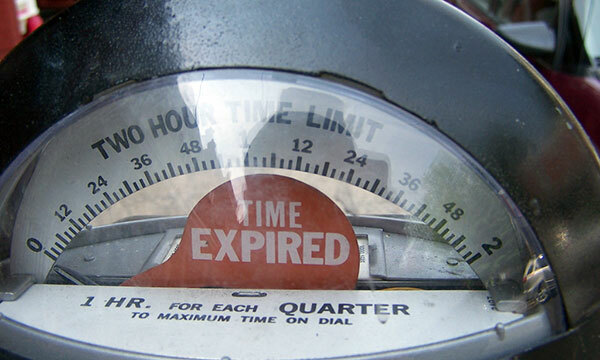 Do you remember coin-operated parking meters that looked like this? When did you last see one in your travels? In this lull between fun summer TV like “True Blood” and the fall premieres of network television shows, many people have been binge watching the Netflix comedy, “Orange is the New Black.” Set at a women’s prison in Rockland County, New York, the series has generated new interest in jail. (From the outside, at least.) Here are five notable prison museums around the world with flexible visiting hours for an easy escape. Another stop on Al Capone’s “jail tour,” this Center City Philadelphia jail has been the set for several films including “Twelve Monkeys” and the Transformers sequel, and many TV shows about ghosts and jails. The self-guided audio tour (narrated by Steve Buscemi!) details the history of the prison, active from 1829 to 1969. Regular tickets are $14, and look out for special events; the Halloween Haunted House is especially popular. Telling another part of the Holocaust, these two related historical sites in Warsaw show what it was like to be interrogated and imprisoned in the gruesome Nazi occupation. Part of the Polish city’s excellent collection of museums, they are free to visit and well-maintained, though very somber. The isolation of the small island near Cape Town made it a fitting site for a leper colony, a military training station and a place for political prisoners. Nelson Mandela was the most famous of former inmates for 18 years; he was one of dozens imprisoned during apartheid. Tickets are about $22, including ferry transportation to and from the mainland, a bus tour of the island and “interaction” with a former prisoner. President Obama visited the island and museum this summer, and was “deeply humbled” by the experience. The secret prison of Pol Pot, dictator of Cambodia in the 1970s and leader of the Khmer Rouge, Tuel Sleng is now a museum cataloging the genocide perpetrated there. The museum contains the 6,000 detailed photographs and records of inmates left by prison staff, though as many as 30,000 were said to have been detained, tortured and murdered there. The museum is preserved as it was found in 1979, and is an important site, along with the “Killing Fields,” documenting and memorializing the victims of this dark regime. Would you visit a prison? The thing about B&Bs is, you never know whom you’ll wind up eating breakfast with. Last November in Pennsylvania, I found myself handing over family-style plates of crisp bacon and blueberry pancakes to a couple of middle-aged geologists from Ohio: one was in a full-sized 19th-century–style corset, the other in a full officer’s uniform of Ohio’s 29th Infantry. Then he gave me an offer I couldn’t refuse. A 90-minute drive from D.C., this south-central Pennsylvania town of 7600 is a pretty quiet place except for July and November, when waves of wool-wearing re-enactors and plain-clothes history buffs march in. The Civil War’s biggest battle played out here July 1 to 3, 1863, and Lincoln gave his 272-word Gettysburg Address on November 19. Commemorations are huge affairs, particularly this year, when both turn 150. I’ve been to both events — once to ask battle re-enactors how they decide who dies first — and had some memorable moments: seeing a dad holding his young son’s hand atop Devil’s Den at dusk, Boy Scouts leaking a “so cool!” at first glimpse of the 19th-century “cyclorama” painting in the museum. The real star is the battlefield itself, a national park site spread along a driving loop that follows the landscape of low-lying green hills, forests and wide-open fields that surround the town. Even most skeptics are affected. Two hours after breakfast I changed into my Union-blue private’s get-up in my car, and hit the streets. Re-enactors were everywhere: popping into souvenir stores, huddling curbside, jay-walking. I peeked into a McDonald’s and saw people with fake rifles ordering Big Macs. When I made it to the high school parking lot, my rendezvous for the parade, a half-mile of troops in blue and gray were already lining up. After half an hour we began our march along central Baltimore Street, lined with century-old buildings and perhaps as many onlookers as paraders. I had no gun. My job was simply to keep in step and stare straight ahead,but I couldn’t help turning to look when we passed a “Robert E. Lee” in the crowd. The march wound past McDonald’s and ended on the battlefield, where we lined up at the Angle, a low-lying stone barrier where, in recent years, a handful of Union and Confederate re-enactors have met to shake hands, a gesture that began with real veterans in the 1930s. I stood to the side and watched two dozen 21st-century bearded men shake hands and murmur pleasantries for a couple of minutes. I’m drawn to Alamo stories of underdogs who lose. Now that my parade duties were fulfilled, I drifted from the pack to survey the main reason I had come: the wide field looming below. The spot where I stood, had been the goal of Confederate soldiers on the wild Pickett’s Charge. The damning defeat would push the South into a retreat that essentially lasted 21 months, untilLee’s surrender at Appomattox. I wanted to walk Pickett’s Charge. No one stood in that mile between, out there where — as Morgan Freeman says in the film at the visitor center — “the future of freedom hinged.” The field was filled with clumps of bush and soggy grass that rose gently. At first glance, it seemed far less imposing than I had gathered from reading “Killer Angels,” Michael Shaara’s fictionalized account of the battle. I started retracing rebel steps, bracing for a powerful feeling to come over me. I tried imagining bullets or cannonballs whizzing by, or just the itch of wool jackets on a hot July day. But, to be honest, reverence came on recollection. At the time, I was more concerned that the mud slopping over my shoes would soak into my socks. After reaching the “Yankee side,” I encountered some laughing re-enactors in blue coats, half expecting credit for making the walk unharmed. They were swapping tales about their experiences as extras for “Gettysburg,” filmed nearby in 1993. One mocked the “high ground speech,” another actor Tom Berenger’s painfully fake beard. I asked how they had gotten into the film. “Oh, they needed anyone and everyone,” one readily answered. I’d have volunteered for crab cakes. Anyone making a movie for Antietam? My Gettysburg re-enacting “career” began at the breakfast table of Martin House B&B in nearby Fairfield. Park rangers give very highly regarded tours of the battlefield. There are many guidebooks and audio CDs for visiting the site. I enjoyed “The Battle of Gettysburg: A Guided Tour” by Edward Jackpole and Wilber Nye. Seven months after Hurricane Sandy ravaged New York City-area beaches, construction will begin on replacement pavilions for those that were destroyed in the storm. Here’s a peek at what destinations like Rockaway Beach and Coney Island will look like, courtesy of Garrison Architects, the firm that was asked to create these modular pavilions. Structures include bathrooms for the public, stands for lifeguards and offices for beach staff, all of which sit on concrete stilts in order to meet standards put in place by the Federal Emergency Management Agency (FEMA). According to architecture blog Architizer, the materials used to produce the pavilions, like galvanized steel frames, will ensure the structures resist severe weather in the future. The pavilions also have double-ventilated roofs with solar panels on top to save on energy consumption. According to the architects, the pavilions will be built in Pennsylvania and then transferred via flatbed trucks to New York, where cranes will set them on pile foundations. Ramps and stairs will connect the structures to each other and provide access to the beaches and boardwalks. The new facilities should be put in place just in time for summer. Check out even more images after the jump.